Bhopal: A body of clerics in Madhya Pradesh has issued two 'fatwas' asking Muslims to avoid watching the film "Ram Janmabhoomi" and its woman actor to "revive" her faith in Islam. The All India Ulama Board (AIUB) demanded the central and MP governments to prevent the film's release, alleging it was "an instrument to create hatred between two communities of society". It said the movie was being released to "vitiate" the atmosphere at a time when efforts were being made to resolve the Ram Janmabhoomi-Babri Masjid land dispute in Ayodhya through mediation. 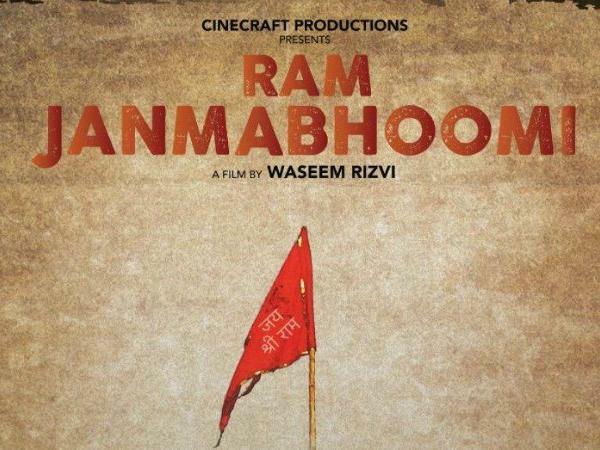 Uttar Pradesh's Shia Waqf Board president Syed Waseem Rizvi has written and produced the film, which portrays the events related to the Ram Janmabhoomi movement. It is set for release on April 29. "The film's release should be stopped till the completion of Lok Sabha polls as it is a conspiracy by the film's producer to create hatred between the two communities in society and polarise votes in elections," AIUB MP unit vice president Noor Ullah Yousuf Zayi told reporters here. He demanded that a four-member panel be formed to review the movie. He also shared two fatwas, signed by AIUB MP chapter president Qzai Syed Anas Ali Nadwi, with reporters. One of the fatwas appealed to Muslims to avoid watching the TV shows and movies which spread obscenity, communalism and portray Islam in poor light, and also films like "Ram Janmabhoomi". Another fatwa was issued against the film's actor Nazneen Patni, advising her to "revive her belief in the light of Shariat". It said the film was made with a conspiracy to harm the communal accord of the country and incite the Muslim community's sentiments.